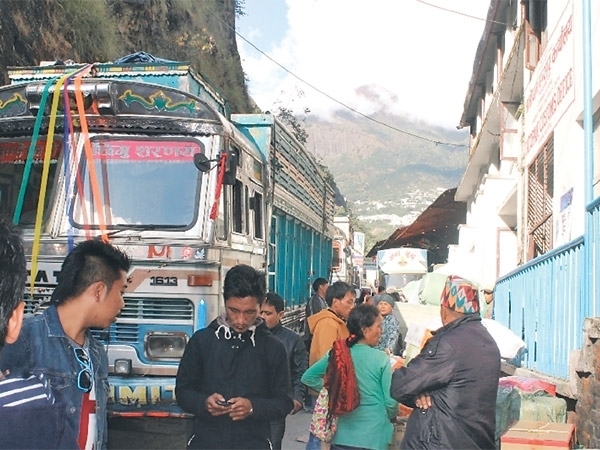 The routes and ports that Nepal, sandwiched between China and India, can use would be decided by officials from Kathmandu and Beijing soon, he said. The transit and transportation treaty with China is likely to end New Delhi’s monopoly over the landlocked nation’s trade through Haldia port in Kolkata. Among the ten agreements sealed by both countries include a feasibility study on the establishment of a Free Trade Agreement (FTA), assistance to build infrastructure in Nepal such as a new airport and a border bridge, and an economic treaty and technical cooperation on building an worldwide airport on Nepal’s famous tourist site Pokhara. Nepal Prime Minister K P Oli today said their relationship with China is “higher than Mount Everest and superior than the Great Wall ” , underlining that the Himalayan nation will not allow any activity on its territory that will impair the Communist nation’s interests. “No other country can replicate the special and privileged relationship Nepal has with India”. Hailing the traditional friendship and cooperation, Li said China firmly supports Nepal’s efforts to safeguard sovereignty, independence and territorial integrity as well as the Nepali people’s choice of development path, and will not interfere in Nepal’s internal affairs. One of the commercial banks in China has also agreed to open its office in Nepal. KATHMANDU, March 20 (Xinhua) – Nepali Prime Minister KP Sharma Oli Sunday left for a week-long visit to China; Nepali politicians have expressed the hope that the visit will further enhance bilateral economic ties. China has expanded its rail infrastructure in Tibet considerably, particularly along the disputed border with India in the east. The plan would add on to an existing slate of rail expansion in China. Oli’s time in China has made it clear that Nepal, which relies economically on its giant neighbor to the south, is increasingly looking toward Beijing for an alternate source of economic ballast and opportunity. What has happened now also shows that China’s influence in the worldwide arena has grown manifold since then. Xi said China and Nepal are close neighbors that enjoy permanent friendship and comprehensive cooperation, stressing the significance of the Five Principles of Peaceful Coexistence they uphold. The new line will reduce Nepal’s dependence on India for shipping.